Audrey graduated from the National Veterinary School of Toulouse, France in 2013. After staying to complete a one-year rotating internship, Audrey undertook and completed a three-year residency programme at Azurvet, a veterinary referral hospital in the south of France. During her residency programme, Audrey was awarded the Joe Morgan Award for the best resident presentation at the 2016 EVDI Annual Congress for her presentation about ultrasonographic findings in dogs with lung lobe torsion. 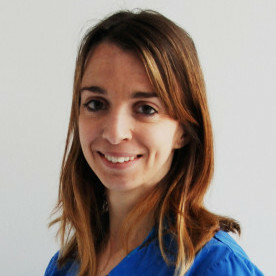 In 2018, Audrey passed the practical part of the ECVDI exam and became an ECVDI Diplomate, before joining Fitzpatrick Referrals as a radiologist in March 2018.